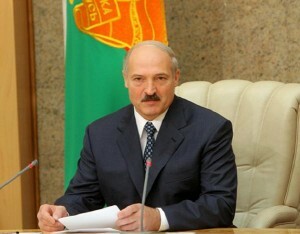 MINSK, 20 November (BelTA) – President of the Republic of Belarus Alexander Lukashenko has sent a letter of birthday greetings to Patriarch of Moscow and All Russia Kirill, BelTA learned from the presidential press service. “For more than thousand years the history of Russia and Belarus has been inseparably connected with Christianity. By promoting the ideals of kindness, humanity, faith, hope and love in the society, the Eastern Orthodox Church has become a source of humanist values, the beacon of patriotism and civil responsibility. We appreciate the efforts of Patriarch of Moscow and All Russia Kirill to promote peace and accord in the society, develop culture, resolve modern humanitarian problems,” the head of state noted. The President of Belarus whished Patriarch of Moscow and All Russia Kirill strong health, peace and spiritual strength in his noble service.